INCLUDING the ones for Sabah and Sarawak, the latest delineation exercise was the ninth since the then Malaya drew up its electoral districts prior to its first general elections in 1955. But where previous exercises increased the number of constituencies, the one which was approved by Parliament last week only changed some names and the demarcations of existing districts. Not surprisingly, critics protested against it, bellowing allegations that the Barisan Nasional ruling coalition was trying to rob the opposition of what they claimed was their impending victory. That being said, statistics from the previous 13 GEs appear to suggest that delineation has been advantageous to the opposition as well. WHILE the redrawing of electoral boundaries has indeed benefited BN, the claim that it severely weakens the opposition’s representational power may have been greatly exaggerated. If this is true then the now-defunct opposition coalition, Pakatan Rakyat, would not have been able to form the government in Kedah, Kelantan, Penang, Perak, Selangor and won Kuala Lumpur after the 2008 GE. 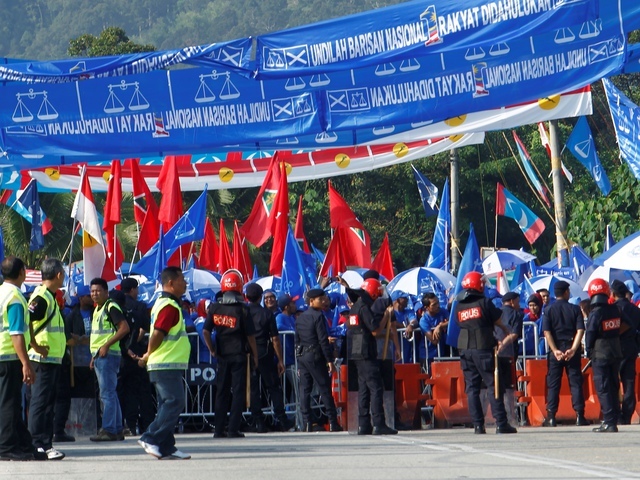 Pakatan too would have been unable to make major inroads in BN’s bastion, Johor, where it staged an unprecedented feat, securing a total of 625,851 votes or 45.79 per cent and winning 18 state and 5 parliamentary seats. 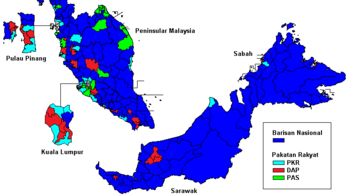 The opposition’s feat in the two elections was accomplished within the 2003 demarcation which had worked wonders for BN in 2004, when it won 198 parliamentary seats or 90.41 per cent, as opposed to the opposition’s 21 seats or 9.59 per cent. There was an increase in seats from 104 to 144 in 1963 but this was due to the inclusion of Sabah and Sarawak in the formation of Malaysia. Such a victory in 2004 was among BN’s four post-re-delineation electoral windfalls, with the other three being in 1959, 1974 and 1995. Malaysia however is not the only country that has been delineating its electoral districts. 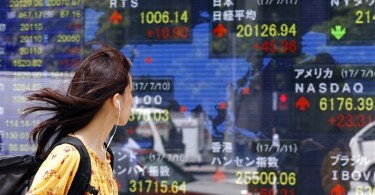 New Zealand and Australia among others who do it…. Much like us, Commonwealth countries like New Zealand and Australia have legal provisions that require the redistribution of electoral districts. But unlike Malaysia, New Zealand’s Electoral Act states that the country’s electorate boundaries must be redrawn after each five-yearly population census and they have been doing so since the law was passed in 1993. If there has been a change in the number of parliamentary representatives to which a State or Territory is entitled, due to a change in population or an increase in the overall number of members, subject to the minimum number of divisions in original States. If the number of electors in more than one third of the divisions in a State or one of the divisions in the Australia Capital Territory or Northern Territory deviates from the average State divisional enrollment by more than 10 per cent for a period of more than two months. If seven years has lapsed since the previous redistribution. Thus it was possible for Australia to also abolish seats as evident in 2003, when South Australia’s number seats in the federal House of Representatives was reduced by one. 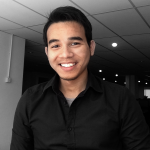 Critics claim that delineation in Malaysia is Umno-centric…..
A popular criticism of a delineation exercises is that it is done to favour Umno and thus guaranteeing BN of another victory. For example in 2003, Associate Professor Lim Hong Hai of Universiti Sains Malaysia published a report elaborating how the government, led by Tun Dr. Mahathir Mohamad, had gerrymandered against PAS. Lim justified the claim by stating that none of the 26 new parliamentary constituencies were added to PAS strong states, namely Kedah, Kelantan and Terrengganu. In the report, he also claimed that Election Commission had unfairly redrawn the boundaries in several parliamentary seats in Kedah to include more non-Malay voters in Malay majority constituencies to lower the chances for PAS. While BN’s decisive victory in 2004 seemed to give credence to Lim’s contention, there was also the view by most election watchers and analysts that BN’s performance was a combination Mahathir’s retirement after ruling with a strong hand for 22 years and the optimism with his successor Tun Abdullah Ahmad Badawi’s pledges. Lim’s contention that a candidate’s ethnicity plays a crucial role in winning may hold water but results from past elections also seemed to suggest otherwise, at least when the electoral bout is in a Malay-majority constituency. For instance, in 2008 BN’s Tan Sri Dr. Ng Yen Yen bested DAP’s Abu Bakar Lebai Sudin in Raub by 2,752 votes. In the following election, there was PKR’s Tan Tee Kwong who defeated BN’s Mohd. Shafei Abdullah in Wangsa by 5,511 votes. Raub and Wangsa Maju are Malay-majority areas. Malay 50 per cent; Chinese 40 per cent; Indians six per cent; Others four per cent. Malays 53 per cent; Chinese 36 per cent; Indians nine per cent; Others two per cent. It’s ironic for Mahathir to protest as if the five delineations, including for Sabah and Sarawak, during his 22 years as a PM who ruled with an iron hand and brooked no nonsense were all harmoniously received by everyone. The opposition’s outrage over the latest delineation, which they had described as an electoral apartheid for allegedly lumping Malay voters into one constituency, is rather peculiar. Peculiar and ironic too because before the issue was shoved into limelight, it was leaders of Pakatan Harapan who had consistently spoken of how the Malays will be voting for them in droves in GE14. It was also a tad ironic to see Mahathir protesting against the delineation given that during his time as PM there were five delineations, including only for Sabah and/or Sarawak. Interestingly, former EC chairman Tan Sri Abdul Rashid Abdul Rahman, who is now a vice-president of Mahathir’s Umno splinter party Pribumi Bersatu has been silent on this point. Maybe Rashid, whose 29-year stint with the EC ended in 2008, is well aware that doing so would be akin to the pot calling the kettle black. Najib: "Debate with Mahathir of no benefit"